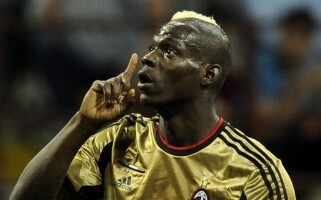 MARIO BALOTELLI : I’M HAPPY TO BE OUT OF ENGLAND! AC Milan striker Mario Balotelli has declared that he is happy to have left England. The Italian international striker quit Manchester City in January. The 22 year old told CNN International : “Yes, I was unfairly treated in England, but I’m not here to talk about it. I don’t care. I’m out from England, I’m happy that I’m out from England. That’s it,”. “I’m really happy now. I have my family near me and my friends. I can relax and find my privacy, more than in England, where I was alone. “The stuff that they said in the newspapers that I did in England in the past, few of those are real. The others are really just the imagination of the journalists.